Find a family to take you in until at least Saturday. Wait until Saturday Soup Day. On Saturday, your host family will make you soup, because Saturday is Soup Day, a day on which Jamaicans let a pot of soup simmer for hours. Make sure you ask for chicken foot in the soup. 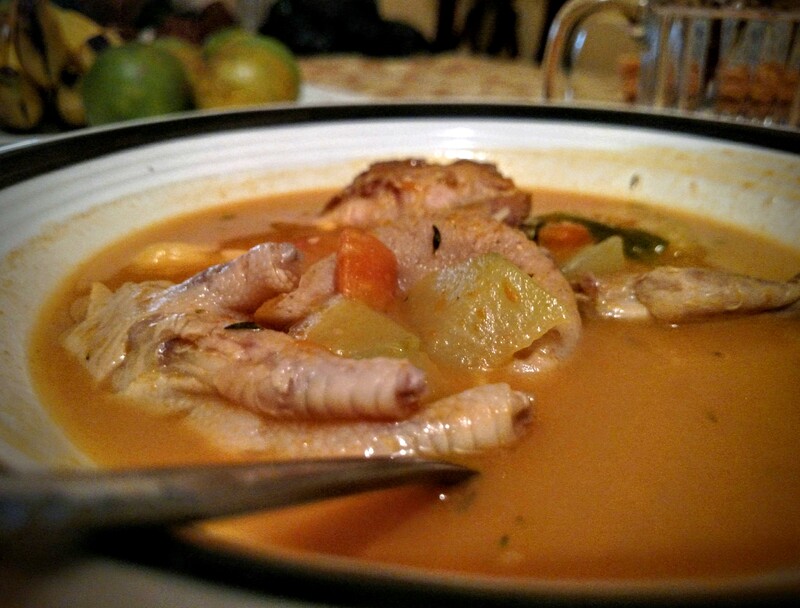 Don’t stare at the ominously puckered chicken foot as your soup is set before you. Picturing Chicken-You-One-Chased won’t help either. Eat the chicken neck if it’s there. You’ll know it’s a neck because it looks like a neck. It’s meaty goodness! Do glance at your host family as they eat the chicken foot. They will most likely spoon the foot up to mouth level, from where they will take their fingers, pinch the foot at its widest part, and bite off all three toes in one chomp. Do what they just did. Bite off the three toes. Repeat with the part of the chicken foot you pinched. Don’t eat the bone, but the cartilage is edible. Enjoy eating food some would not deem worthy of the word.